Chava Danielson, AIA, is a Principal of DSH // architecture, a practice with specialties in education and work with non-profit organizations alongside significant residential projects at a range of scales. Her research and professional interests gravitate toward the ends of the spectrum, issues of geometry and projection on one hand and a passion and responsibility surrounding architecture's place in the urban context, on the other. She has taken the lead on DSH's educational work with the Larchmont Schools, St. James' preschool and projects with the non-profit organization Para Los Niños. The Larchmont Charter High School at Lafayette Park is an adaptive reuse of the former New York Life Headquarters building by Welton Becket in the Mid Wilshire district of Los Angeles. The project is a contribution to the revitalization of a once-central urban corridor while also continuing DSH's forward-looking approach to historic preservation established with the award-winning rehabilitation of Rudolph Schindler’s Bubeshko Apartments. Other recent projects include the Para Los Niños Family Therapeutic Center, an adaptive reuse of warehouse structures in skid row that incorporates a block long façade treatment and branding program. 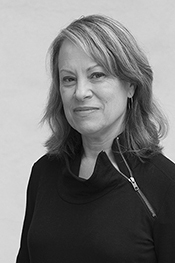 Danielson is an Adjunct Professor in the Architecture/Landscape/Interiors Department at Otis College of Art and Design, where she teaches Design Studio and courses in Urban History and Theory. In 2013, she served as the chair of the Political Outreach Committee of the AIA Los Angeles, has served as a Director for the Los Angeles Forum for Architecture and Urban Design and was a founding board member of the Larchmont Charter Schools.